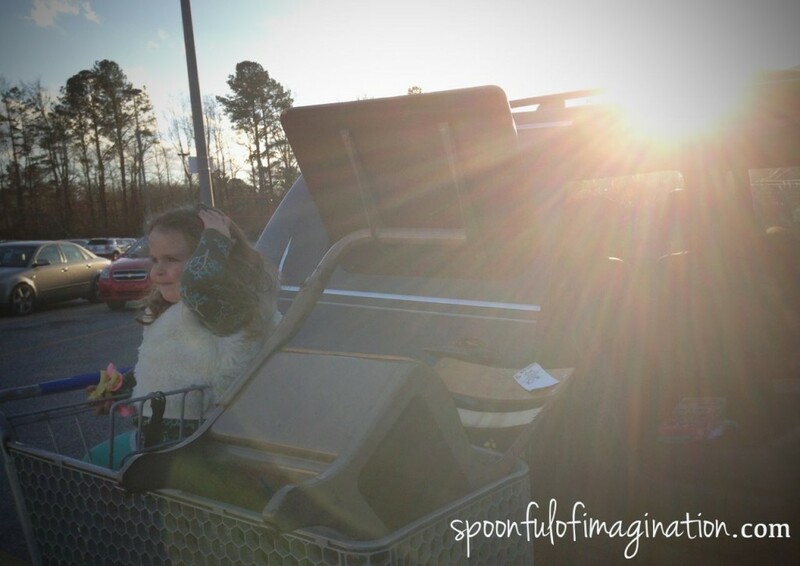 Do you ever just have the extreme urge to pull into a thrift store? Almost like the thrift store is calling to you? I get that craving. The other weekend my husband had to work late, and the kids and I had to get out of the house for a bit. We pulled into a thrift store and I realized why I was there. 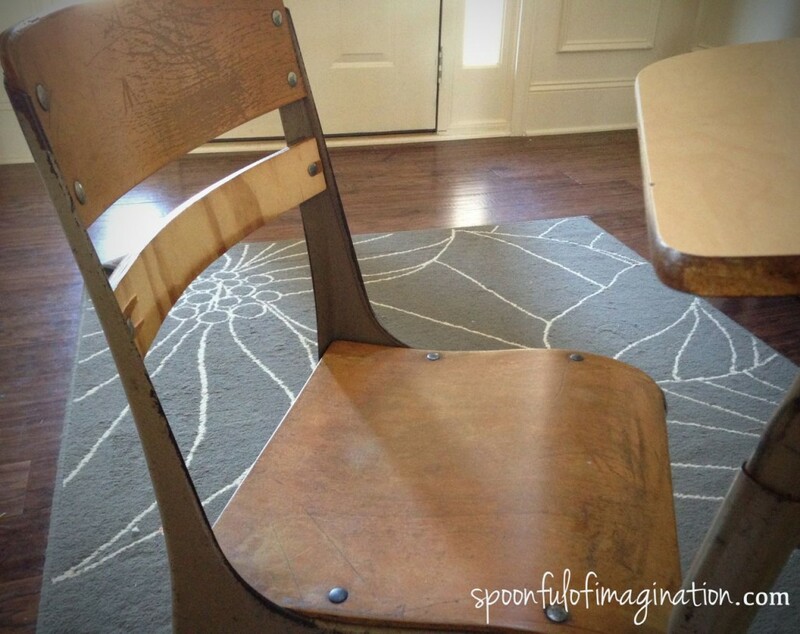 I found this vintage school desk for $10. I have been eying them in magazines and pretty pictures for a while and wanted one. I never thought I would get one for $10! What a steal! We loaded our find into the van and brought it home. I had so many ideas on different ways to make over this little desk. I decided to just start with a base color and do one step at a time to see which direction to continue going with it as I worked on it. 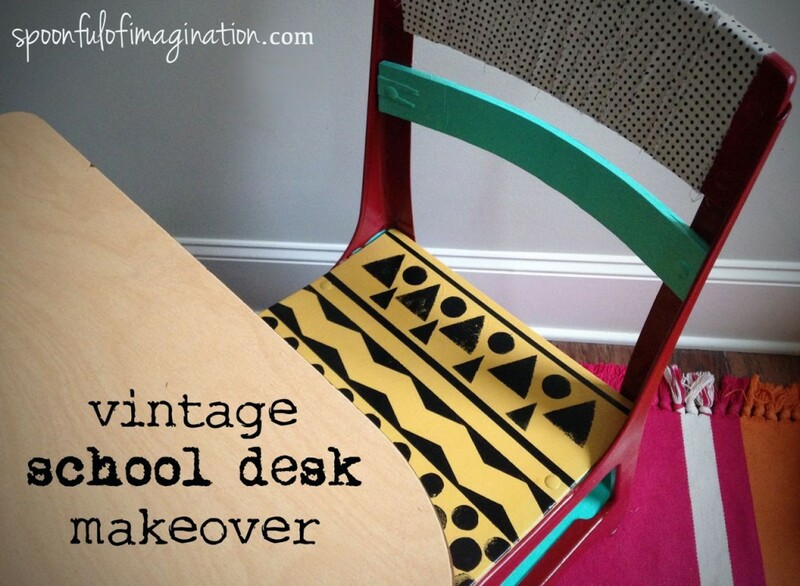 I’m going to show you step by step how I revamped our school desk, so you can do it too! Switch out the colors or fabric (yes fabric!?) to make it more personal to you and your taste. I loved the old wood look right from the start, so I thought I was just going to paint the metal, but as I started working, the wood got covered up as well. I used Kilz and painted over every part of the desk but the top (writing surface area). I felt this would clean it and would be the best way to make sure that whatever design I came up with would last for a long time without chipping. 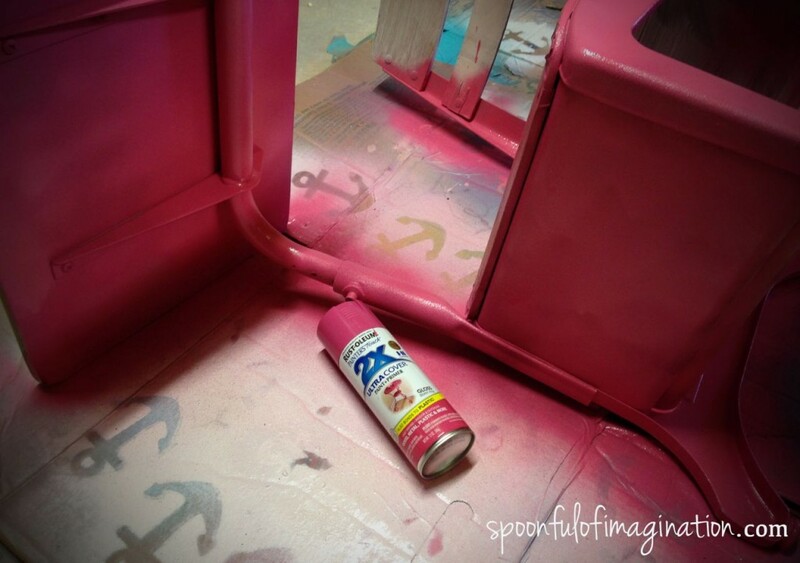 I knew I wanted it to be a fun, statement piece so I grabbed my Rustoleum hot pink spray paint and sprayed all the metal and underside of the desk with it. After spray painting it hot pink, my son was sad because it was so “girly” so I grabbed a deep red and spray painted over it again. It turned out that base hot pink coat probably was good for our red spray paint. The red stuck with one coat. 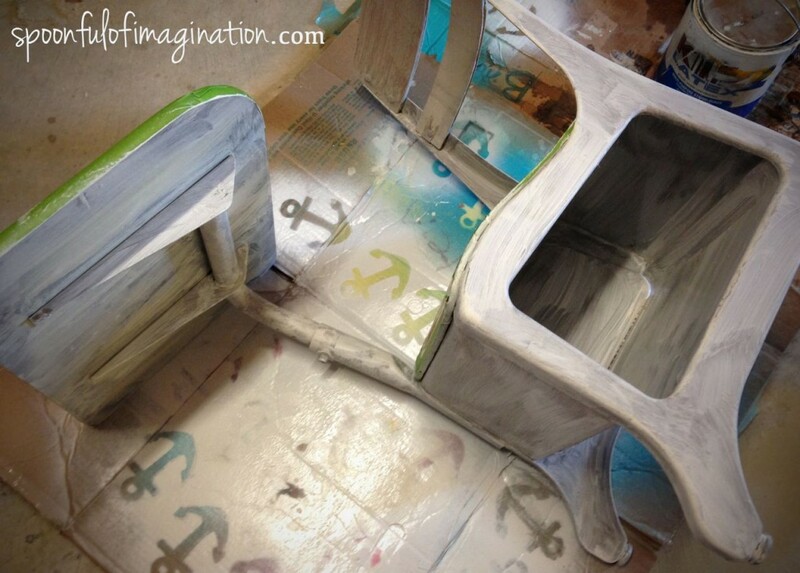 Make sure to spray light coats, so the spray paint doesn’t start to drip. 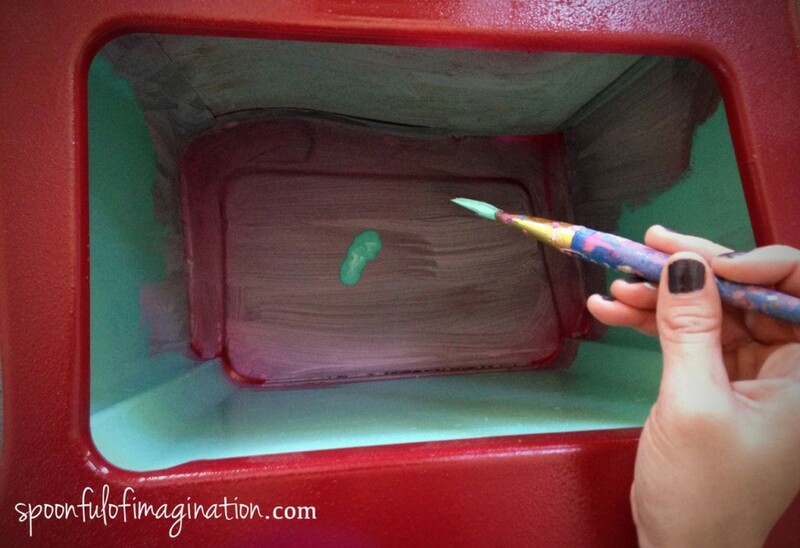 After the red spray paint dried, I used a little acrylic teal bottle paint and squirted some in the cubby hole and spread it all around to paint the inside a fun pop of a new color. I ended up painting one of the back rest panels the same color. I wanted a couple of colors that worked and popped with one another. Once the teal paint was dry, I worked on the seat of my chair. I started with painting it a simple mustard yellow and then created my own tribal pattern on it. You can read the full tutorial on how to create your own tribal pattern here. I then picked one of my favorite, small-scale print fabrics and used the same technique I did on this love sign to cover the top part of my chair. I love how it all came together and how my new friend Heidi said, the desk has personality. It sure does. It is hanging out in our living room and will be where Caleb probably does most of his school work from now on. I see a cleaner kitchen table in our future as a result! Yes! 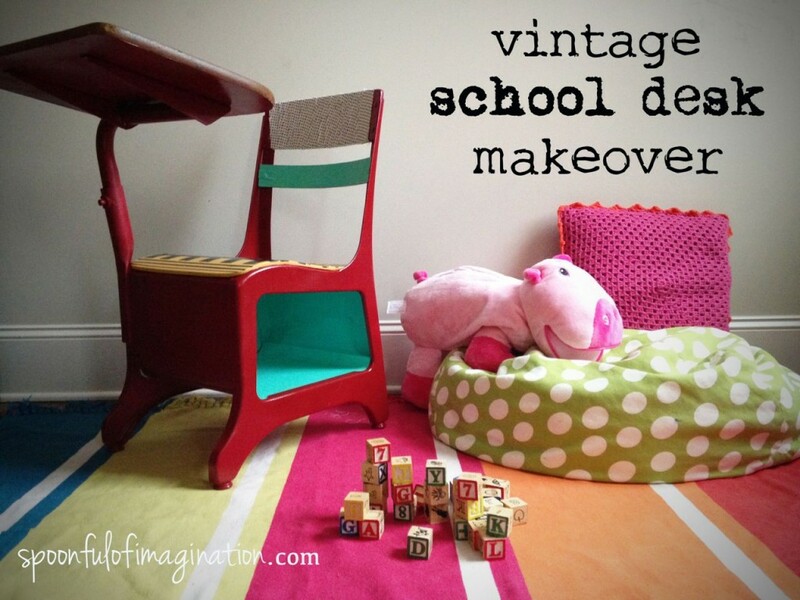 Have you seen see any fun vintage school desks makeovers? 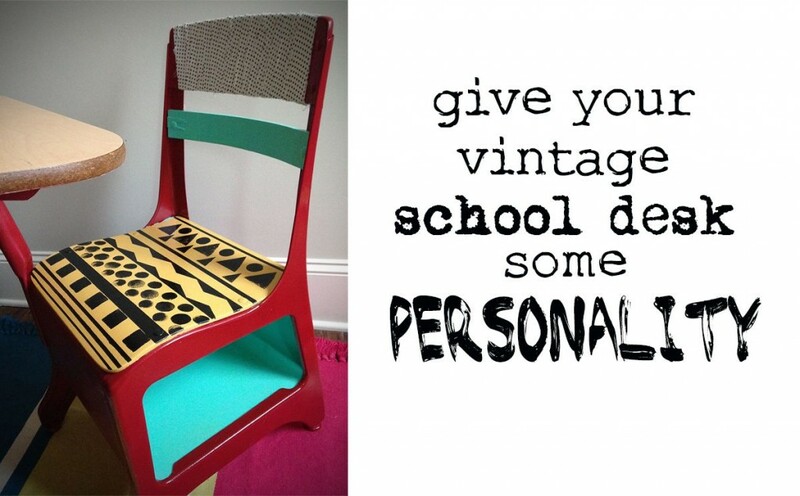 Would you use crazy fun paint colors and fabric on it too? Or keep more of the natural rustic charm? 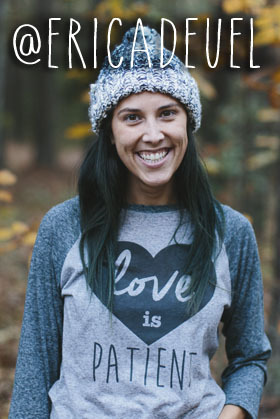 If you love this piece like me, please feel free to pin it and share it with your friends! Thanks so much for checking in!